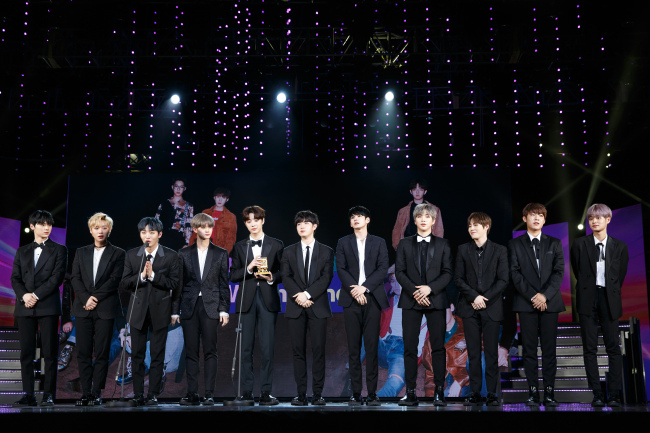 K-pop boy bands Wanna One and Seventeen took home trophies at the 2017 Mnet Asian Music Awards at Hoa Binh Theater in Ho Chi Minh City, Vietnam, on Saturday. 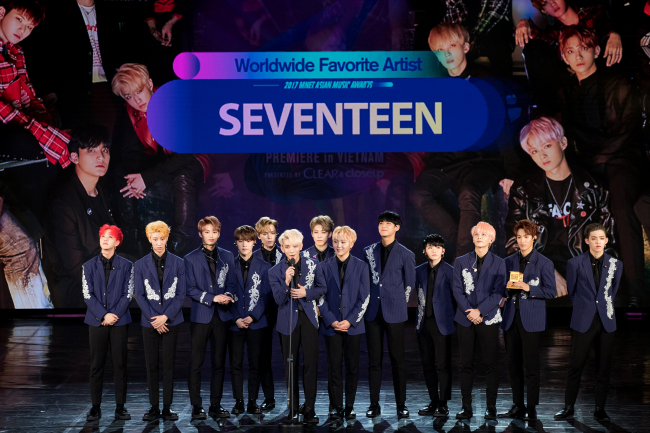 At the event, Wanna One won the Best of Next award, while Seventeen won the Worldwide Favorite Artist award. “It is an honor to be invited to MAMA alongside these great Asian artists. Thank you Mnet for giving such a meaningful award. As the title of the award, we will try to sparkle more and live up to your expectations,” said Wanna One’s Yoon Ji-sung upon receiving the award. The music awards also named Agnez Mo as Best Asian Artist Indonesia; Lula as Best Asian Artist Thailand; Son Tung as Favorite Vietnam Artist; Aisyah Aziz as Best Asian Artist Singapore; and Toc Tien as Best Asian Artist Vietnam. MAMA will head to the Yokohama Arena in Japan on Wednesday before wrapping up in Hong Kong with two events at W Hotel Hong Kong on Thursday and at AsiaWorld-Expo on Friday.